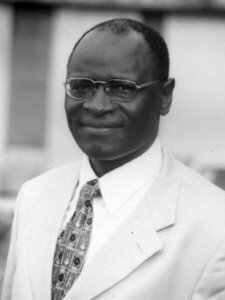 Titanji is Vice-chancellor, Cameroon Christian U. (2015-). He was vice-chancellor and coordinator, Biotechnology Unit, U. of Buea, Cameroon. He focuses on infectious diseases (malaria, river blindness, tuberculosis) and protein phosphorylation as a regulatory mechanism in Onchocerca volvulus, the parasite causing River Blindness in humans. He discovered, cloned and characterized new antigens, employed for diagnosis and potential vaccines, in Onchocerca volvulus. He also works on immune responses to malaria and evaluates new vaccine candidates and drug leads from med. plants for malaria intervention strategies. He is past pres. and member, Council of Fed. of Afr. Socs. of Biochem. and Mol. Biol., and received the IFS/DANIDA Prize and Cameroon Knight Order of Valour. He is fellow of the Cameroon Acad. of Sciences, Afr. Acad. of Sciences, and Inst. of Biology, London. Keywords	 Infectious diseases; malaria; onchocerciasis; vaccine; medicinal plants.